A gluten-free-friendly American BYOB is coming to Lahaska, Bucks County. 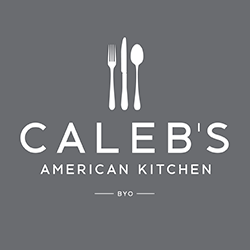 Caleb's American Kitchen (5738 Rt. 202, 215-794-8588), set to open later this month, will have gluten-free bread and burger buns, French toast, Johnny cakes, fish tacos and other items, along with a dedicated toaster. (The grill will be cleaned between other uses.) All dressings will be made in house with no thickening agents such as wheat flour. Reader Kate S. let me know that at Kennett Square's Market at Liberty Place, Yo’R So Sweet (148 W. State St., 610-925-0005) has gluten-free sweet and savory crepes. The kitchen keeps separate utensils for the gluten-free versions and cleans the grill for those orders. The fall gluten-free menu is now available at all Seasons 52 locations, including area locations at the malls in King of Prussia (160 N. Gulph Rd., 610-992-1152) and Cherry Hill (2000 Route 38, 856-665-1052). Gluten-free menus for several more of Stephen Starr's Philadelphia restaurants - Buddakan (325 Chestnut St., 215-574-9440), Jones (700 Chestnut St., 215-223-5663) and Butcher & Singer (1500 Walnut St., 215-732-4444) - have been added to my restaurant list. MOM's Organic Market, a suburban D.C. grocery store chain, is planning a Spring 2014 opening in Rosemont at the former Borders in Rosemont Square (1149 Lancaster Ave.), reports Philly.com. The stores stock many gluten-free items. 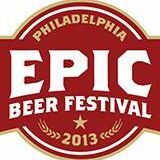 The Epic Beer Festival scheduled on Nov. 2 at the Philadelphia Convention Center will have gluten-free options, including beers from Joseph James, Sprecher and Lakefront breweries and many hard ciders. Organizers promise more than 30 gluten-free styles available for sampling. Part One of our family vacation report covering Walt Disney World and Orlando was posted at the blog on Tuesday. The second half will recap our recent Bahamas cruise.